We’re glad you asked. K2 Aviation has a long history of flying in Alaska; We’re owned and operated by the Rust family, who have been flying Alaska’s back country since 1963. K2 Aviation is a National Park Service approved concessionaire with an excellent safety record. We have an extremely experienced staff, and we love what we do. Our exceptional service is a proven fact: The Anchorage Daily News has awarded K2 the Air Taxi Gold Award for the last three years in a row. K2 Aviation’s pilots have flown more people to Denali than any other air service in Alaska; the average pilot at K2 Aviation has well over 5000 hours of flight time. We also have more than 46 years’ experience flying in Alaska’s backcountry– more than any other air service in Denali National Park. What tours do you recommend? Most Popular: The Denali Flyer Tour offers visitors a thorough look at the south side of the Alaska Range. It’s longer than our basic route, and allows guests more opportunities to see the summit of Denali from the east, south and west. Best for Small Children: We suggest our shorter tour, the Denali Experience. This tour is the foundation for all of our tours. It also stays at a lower altitude, limiting small children’s discomfort with changes in pressure. See It All: The Denali Grand Tour allows guests to see “The Great One” from all angles, including trails and formations on Denali’s north, south, east, and west faces. What is the best seat on the plane? Can I sit in the co-pilot seat? Every seat in the aircraft is located next to a window. Many guests request the co-pilot seat; the pilot places passengers in particular seats to balance the airplane, and it is their decision. If you’re interested, we are glad to let your pilot know your preference. During the summer season (May – September 15) we encourage you to layer your clothing. Bring a light jacket and wear long pants. It’s a good idea to have comfortable, closed toe shoes and sunglasses. We provide overboots for glacier landings. During the colder seasons, you should bring a heavier coat, gloves or mittens, a hat, and boots. We also recommend you bring a camera, a charged battery, and a memory card or extra film. Will I see Denali's summit on my tour? We cannot see the summit on every flight; viewing opportunities change with the weather. Denali creates its own weather environment, and it can change from flight to flight. K2 Aviation pilots will look for best viewing opportunities, which may mean changing from the routes outlined in our brochure. When the summit cannot easily be seen, K2 pilots may alter the flight route if they feel they can provide a better tour by visiting other parts of the Alaska Range. Do I need a reservation, or do you take walk-ins? We encourage you to make a reservation in advance, as soon as you know the dates you will be in our area. The sooner you make a reservation, the more likely we will have the tour and time available that suits your travel plans. The Denali flights from Talkeetna have become increasingly popular, and we can’t always accommodate walk-ins. Any clients with reservations can cancel 48 hours in advance, free of charge; there is no risk to you in making a reservation. If your flight is cancelled because of weather, your deposit will be refunded. All that is required to secure a reservation is a 50% deposit per person, fully refundable with 48 hour notice or inclement weather. What happens to my deposit if my tour is cancelled due to weather? We do our best to inform you about current weather conditions at your flight time. If the weather prevents you from flightseeing, we will give you options that include cancelling, rescheduling, or receiving a full refund of your deposit. If you purchased your tour through a tour company, the refund will be processed through the company. Credit may take up to six weeks to appear on your statement. Should I add a glacier landing? Absolutely! You will be hard pressed to find an experience that will top landing on the slopes beneath North America’s tallest mountain. We don’t recall ever having anyone come back disappointed. I've been to the Mendenhall Glacier. Should I still do this trip? Definitely; these two experiences are entirely different. In Denali, landing on the Ruth Glacier amongst the towering peaks of the Alaska Range reveals a world in total contrast to the coastal ice fields in Southeastern Alaska. K2 Aviation has an excellent safety record. We’re owned by the Rust family, who have owned and operated Rust’s Flying Service since 1963. Both companies are highly respected in the aviation industry of Alaska. I get motion sick. Do you have suggestions? Many people worry about getting air sick. Luckily, the south side of the Alaska Range is usually calm, and not particularly bumpy. Passengers have had good luck with Seaband Bracelets, ginger products, and Dramamine. If you are prone to motion sickness, you should take whatever measures you normally take to combat it. K2 Aviation does not provide Dramamine. In the event you do get sick, we do have sick sacks in the airplanes and the pilot will make you aware of their location. Do you offer flights out of Denali Park? 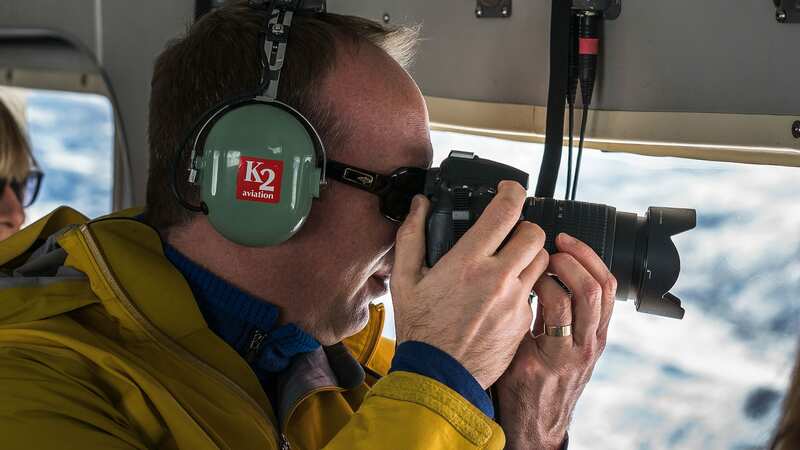 K2 Aviation does not provide standard tours out of Denali National Park. If you are interested in transportation out of Denali, please call our office for a special rate. What type of airplanes do you operate, and what are their seating capacities? K2 Aviation operates several different types of aircraft, which include the Cessna 185 (4 passengers), the DeHavilland Beaver (6-7 passengers), the DeHavilland Turbine Otter (10 passengers), the Piper Chieftain Twin Engine (9 passengers), and the Cherokee Six (5 passengers). Sometimes wildlife is visible from the airplane, but this is not K2’s main focus on the tour; we are generally flying too high to get a good look at any animals. Wildlife viewing tours are available by special request; please contact our office for pricing. We can accommodate most people as long as we know in advance the nature of their disability. Our vans do not have wheelchair lifts. K2 Aviation is located in Talkeetna, Alaska, near the Talkeetna State Airport. We are about 2 ½ hours north of Anchorage, and about 2 ½ hours south of Denali National Park. The Talkeetna exit is located at mile marker 98 on the Parks Highway (Alaska Route 3). Find us on the map and get directions. How do I get to and from the Talkeetna Alaska Lodge? K2 Shuttle: When you make your flight reservation, ask for a pick-up at the Talkeetna Alaska Lodge. A K2 Van will meet you at the main lobby 30 minutes before flight time. We will be glad to return you to your lodge or take you into to town following your flight. On the hour: The Talkeetna Alaska Lodge Shuttle departs every hour for Talkeetna from the main lobby. The shuttle will drop you 1 block from K2 Aviation and one block from town. Every half hour: The Talkeetna Alaska Lodge Shuttle picks up guests at the parking lot next to Mahay’s, just across the railroad tracks from our office(same place you would be dropped off). How do I get to and from McKinley Princess Lodge? The McKinley Princess Lodge is approximately 50 minutes away form Talkeetna. In order to arrive 30 minutes before flight time, you should plan on taking a shuttle departing 1 hour and 30 minutes before your scheduled flight time. Shuttle departures: 7 a.m., 9 a.m., 10 a.m., 11 a.m., 12 p.m., 1 p.m., 2 p.m., 3 p.m., 4 p.m., 5 p.m., 6 p.m. and 7 p.m. Shuttle returns: 10:30 a.m., 11:30 a.m., 12:30 p.m., 1:30 p.m., 2:30 p.m., 3:30 p.m., 4:30 p.m., 5:30 p.m., 6:30 p.m. 7:30 p.m. and 9:00 p.m.
How do I get to and from a B&B, or the train station? 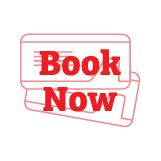 We are happy to provide shuttle service to and from local B&Bs, or the Talkeetna Train Station. Please call in advance to make arrangements. Is there any place to eat at the airport? There are no restaurants at the airport, but K2 Aviation has soda, juice, and small snack foods for purchase. We also offer complimentary coffee. If you are on foot, there are restaurants located a short walk into town. In summer, we are open 7 days a week. This includes holidays such as Memorial Day, July 4th, and Labor Day. Our office hours are from 7:00 am to 9:00 pm. During the winter, we are open seven days a week from 9:00 am – 3:00 pm. Advance notice is helpful, as winter flights require more preparation time. Yes. We offer our three main flight tours: the Denali Experience, Denali Flyer and the Denali Grand Tour. We are not able to provide glacier landings in the winter. Its official name used to be McKinley, but in recent years has been changed back to its original Alaskan name, Denali.